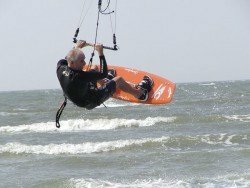 Kite-surfing has been described as the combination of surfing, windsurfing, wake-boarding, paragliding and gymnastics, all these into one extreme sport. If you want to taste this cocktail of adrenaline, then Sintra is the ideal location. Sintra offers beautiful beaches, which provide the right conditions for kite-surfing. One of them is Cascais Guincho beach, part of the Sintra Cascais Natural Park. International contests and championships take place there. 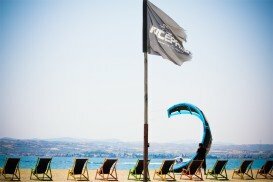 The EDP Kite Surf Pro Cascais World Championship Tour is known to the fans of kite-surfing. 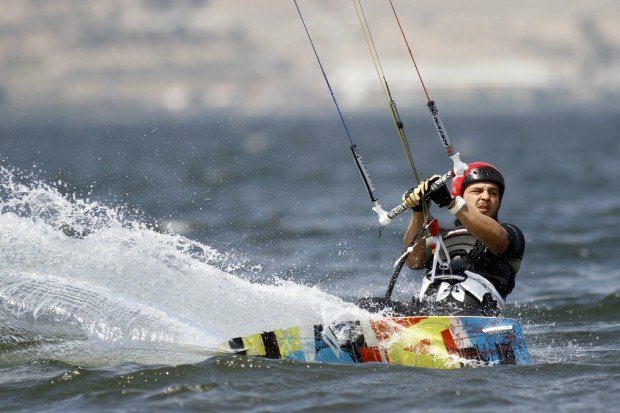 It is supported by the IKA (International Kite-boarding Association). 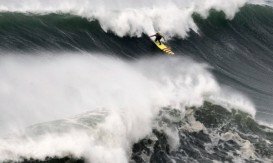 The world’s top kite-surfers (24 male and 12 female) ride the waves showing their experience and great skills. The strong wind and big waves make this beach an ideal location for this championship tour. 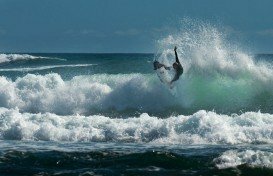 During summer, the wave swell size is around 4 to 6.5 ft (1.3-2 m) and the wind blows offshore 5%. 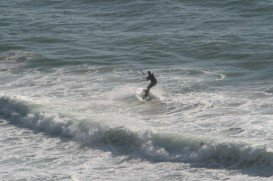 During autumn, you may come across waves with swell size from 4 to 10 ft (1.3-3 m) and wind blows offshore 27%. 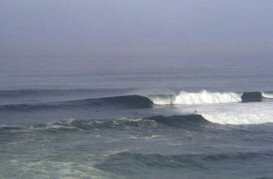 In winter, the waves swell size 6.5 to 10 ft (2-3 m) and the wind blows offshore 37%. Finally, in spring there are waves with swell size from 4 to 6.5 ft (1.3-2 m) and the wind blows offshore 23%. 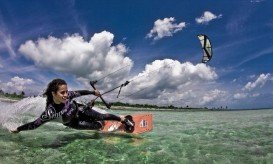 Don’t worry if you are a beginner, because there are kite-surf schools, that can help you feel the magic of kite-surfing. In Sintra there are other activities that you can do and lots of accommodation to lay off. Take your flippers and your bodyboard but leave your mind in a safe place. Crazy Left beach will make you lose it! 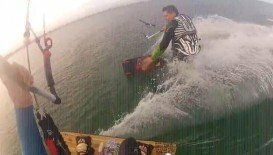 The spot is located in Ericeira, a small fishing village in the municipality of Mafra, in Portugal. 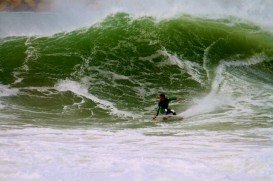 Ericeira is well known for its warm climate and the hospitality of the villagers.